There really is nothing better than making a salad with greens from your garden. It's amazing how much tastier fresh lettuce is compared to store bought. 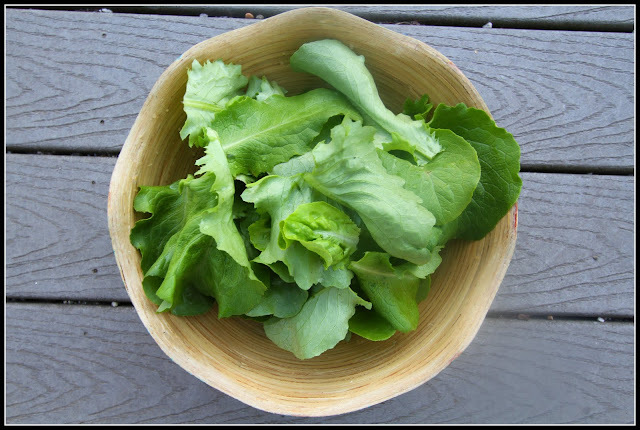 Lettuce is a hardy plant that can withstand cooler temperatures. Plant in early spring and you can continue planting new seeds every three weeks until temperatures are above 75 degrees. At this point in the game, it would be best to buy starts. Look for varieties that are heat tolerant. 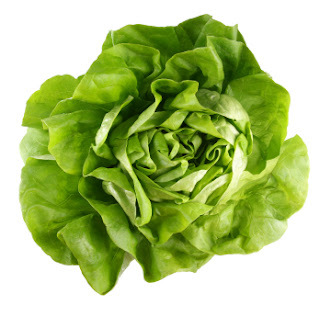 Lettuce is 95% water, so make sure to provide your lettuce with plenty of water! Use a mulch around the base of the plant. This will help keep the soil cool and moist. 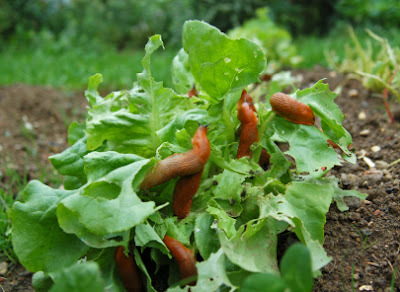 Keep an eye out for aphids and slugs! Blasting off aphids with a hose followed by spraying on a oil/soap mixture (1 part vegetable oil/2 parts water/2 parts dish soap). As for slugs....good luck. Lettuce requires 5 (or more) hours of sun per day. You can wait until your lettuce is full grown and harvest the entire head. Using a knife, cut the entire head of lettuce about 1 inch from the soil line (off with their head!). The lettuce will typically grow back if you harvest this way! You can simply pluck off the outer leaves of the head as well. This will encourage more leaves to grow. 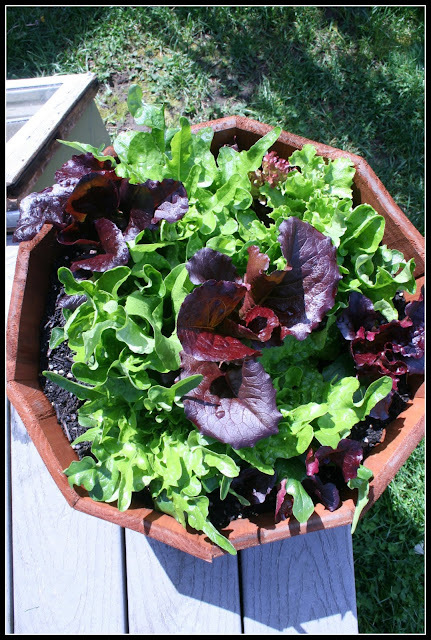 This method works best with leaf lettuce. If the weather gets above 75 degrees or you don't harvest your lettuce it will "bolt". This means a flower and stalk will shoot up. Once this has happened your lettuce will lose its flavor and become bitter. 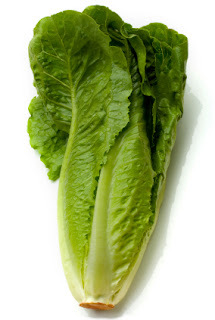 Leaf lettuce is the easiest to grow, Romaine is able to handle temperature fluctuations the best. You can grow lettuce anywhere. I prefer containers! Any container should be approximately 10 inches deep. 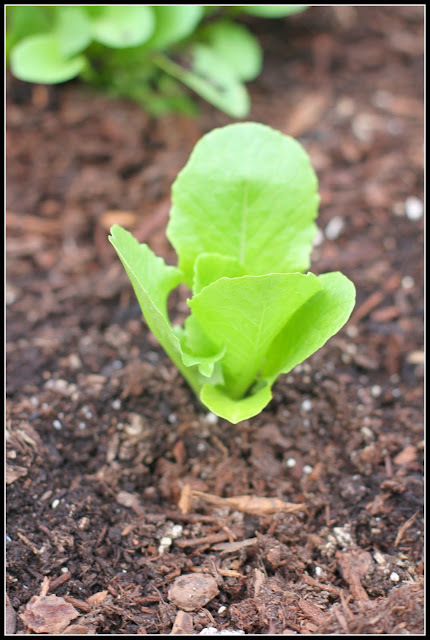 Lettuce has shallow roots, but they spread out. Now watch out for slugs!